Different Orthodox Churches? Greeks, Serbs, and Russians, Oh My! I’m probably not the only Orthodox Christian who said I was Orthodox and had someone ask, “Oh? So you’re Greek?” Curious, isn’t it, how so many outside the Orthodox community don’t understand the structure of the Orthodox Church? Opponents of Orthodoxy portray her as divided and nationalistic because of the ethnic titles associated with Orthodoxy (Greek, Russian, Serbian, etc.). But nothing could be further from the truth. In this post, we briefly explain the overall setup of the Orthodox Church across the globe and the hierarchy within the Church. We will then state the “differences” between the jurisdictions of the Orthodox Church in the United States. The Orthodox Church has an organic and continuous 2,000-year history spanning from the time of Jesus’ apostles to the present. What we now call the Orthodox Church was simply the Christian churches of the eastern Roman Empire where the Christian faith originated – Jerusalem, Antioch, Ephesus, Thessalonica, etc. In other words, the Orthodox Church is the original Church that wrote, compiled and canonized the Holy Scriptures. It is the Church that formulated the traditional doctrines of Christianity. And it remains largely unchanged to this day. Most Orthodox churches today fall into one of two main categories: Eastern Orthodoxy and Oriental Orthodoxy. In addition to these main groups, other churches exist that have no affiliation, mostly in the West. 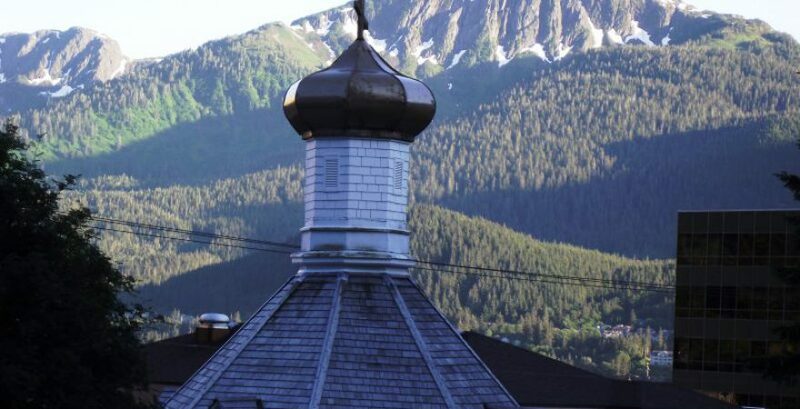 In this article, we focus primarily on the Eastern Orthodox Church, as its churches are the ones Americans will mostly likely come in contact with. Within these two main groups of Orthodox churches are various autocephalous regional churches. The Eastern Orthodox Church consists of 14 autocephalous churches (plus the Orthodox Church in America*) that exist in full communion with one another. This means as far as doctrine, Holy Tradition, and interpretation of Scripture, these churches all believe the same things. The only differences you might find would be cultural (language, architecture, local customs) or administrative (different priests, bishops, etc.). All Eastern Orthodox churches follow the same basic hierarchical structure, but the people in those positions would differ, depending on the jurisdiction. *Only the Russian, Bulgarian, Georgian, Polish, the Czech-Slovak churches recognize the Orthodox Church in America as autocephalous. So, depending on which archdiocese you attend or visit, the number of autocephalous churches could be either 14 or 15. For a full list of all Orthodox churches, including those in Oriental Orthodoxy and other communions, check out this page! Greek Orthodox or Eastern Orthodox? Historically, the term “Greek Orthodox” has been used to describe all Eastern Orthodox Churches in general. In these cases, “Greek” referred to the heritage of the Byzantine Empire. Theologians utilized the Greek language in early writings, and Greek was spoken widely throughout the Empire. Over the next several centuries, most parts of the liturgy, traditions, and practices of the church of Constantinople (Greek in their nature) were adopted by all, and still provide the basic patterns of modern Orthodox Christianity. Thus, the Eastern Church came to be called “Greek” Orthodox. This is similar to the way the Western Church is called “Roman” Catholic. Beginning in the 10th century, Orthodox Christians around the globe began abandoning the “Greek” identifier, replacing it with their own ethnicities (Serbian, Antiochian, etc.) Today, only churches explicitly tied to Greek or Byzantine culture call themselves Greek Orthodox. As we mentioned earlier, within the Orthodox Church there are various autocephalous churches. Each autocephalous church institutes a hierarchy of clergy, which is illustrated in the graphic below. Underneath the chart are brief descriptions of each position. You may notice the position of Ecumenical Patriarch at the top-most position under the Bishop category. The Ecumenical Patriarch of Constantinople holds the position of Primus Inter Pares, or the First Among Equals. It may sound like the Ecumenical Patriarch is the head of everything. However, his title is merely honorary; in other words, it does not grant any authority over any of the other Patriarchs. Subdeacons aid the bishop or priest in multiple ways, but never with administration of the sacraments. Readers read scripture during services. Think of it this way: the Orthodox Church is structured as One Church. However, that Church has several “jurisdictions,” which were established by the immigrant communities who came to America a couple centuries ago. The doctrine and worship of each jurisdiction and parish is the same. But in some, languages other than English might still be used in services. Simple, right? Russian, Greek, Serbian, Antiochian – it is all the same Orthodox Church. To illustrate this, our parish here at Saint John’s is part of the Antiochian Orthodox Christian Archdiocese of North America, which traces its roots to first century Antioch, the city in which the disciples of Jesus Christ were first called Christians. In contrast, just down the river in Ambridge, there is another Orthodox Church that exists under the Greek Archdiocese. We believe the same as they do and hold the same Divine Liturgy they do, but our architecture and language are a bit different. The Orthodox Church is a lot simpler than people believe when first encountering her. She is an incredibly beautiful, diverse family of followers of Jesus Christ, who all worship according to local customs and tradition, and collectively follow the doctrine set forth by the Fathers in the days of the ancient Church. We are not all Greek. We are not all Serbs. The Orthodox Church embodies every ethnicity, every language, every race. And we are all the children of God.